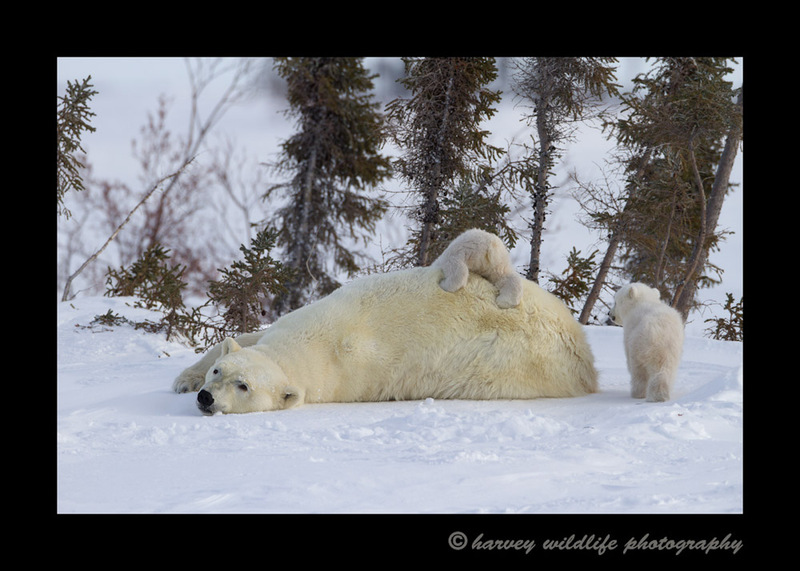 Polar Bear Roll V: Polar Bear moms and cubs near Churchill, Canada. This female polar bear has been in a den for several months, so when she comes out she likes to roll and rub in the snow. I think it is a combination of scratching an itch and cleaning herself. One of her babies can't resist temptation and goes for a ride.